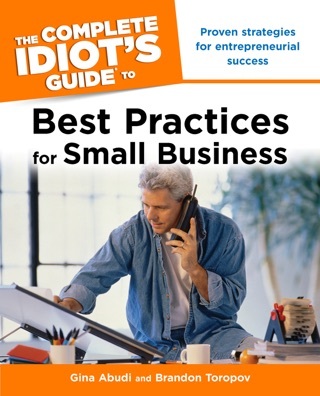 While there are numerous project management books on the market and a number on business processes and initiatives, there has been a lack of comprehensive guides to successfully manage business process improvement (BPI) projects, until now. BPI projects are some of the most difficult and challenging to manage. Improving results for the business is not an easy task! Doing so requires understanding the vision and long-term goals of an organization. It also requires the ability to engage stakeholders and manage change. 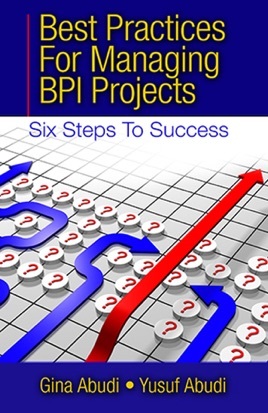 Best Practices for Managing BPI Projects is a guide for project managers who want to improve how they manage BPI projects. 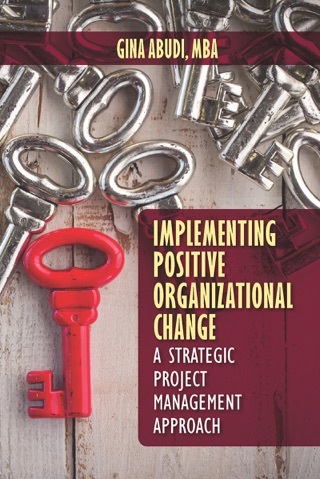 Using a simple step-by-step, six-phase approach, project managers and others involved in BPI initiatives will increase their confidence and their effectiveness in managing the complexities of business process improvement projects. Special focus is given to the necessary leadership skills required to be successful in driving change by improving processes within an organization to improve business results. Gina Abudi, MBA, has over 20 years of consulting experience in helping businesses develop and implement strategy around projects, processes, and people. She is President of Abudi Consulting Group, LLC, and has led a number of process improvement projects, change management initiatives, facilitation of team meeting and executive strategy sessions, and development and evaluation of PMOs and Centers of Excellence. Gina works closely with a variety of clients to develop and deliver customized workshops, seminars, and training programs to meet long-term strategic needs. She serves as President of the PMI® Massachusetts Bay Chapter Board of Directors and has served on the Project Management Institute’s Global Corporate Council as Chair of the Leadership Team. Ms. Abudi has been honored as one of the Power 50 most influential executives in project management from PMI, working to move the profession forward. She also serves on the Board of Vital Impact as co-President. Yusuf Abudi has over 20 years’ experience in process management, IT strategy, and business intelligence. He works with a variety of organizations in evaluating current processes and guides them in developing processes where none exist or improving processes to increase efficiencies and organizational effectiveness. Yusuf’s use of technology to improve how work gets done and ensure increased collaboration includes the development of internal portals and business applications to support organizational long-term strategic initiatives. He works with clients to more easily respond to changes in the business and in their industries through effective analysis and reporting. Mr. Abudi’s work has been heavily focused in higher education and the pharmaceutical/biotech industries.